6 Romneys in Texas: Not For the Squeamish! Wow, have we had a time of it lately. Normally we are super healthy and see our physicians only for immunizations and well visits. Unfortunately, both Melanie and Ryder have had to make trips to the doctor in the last few weeks. 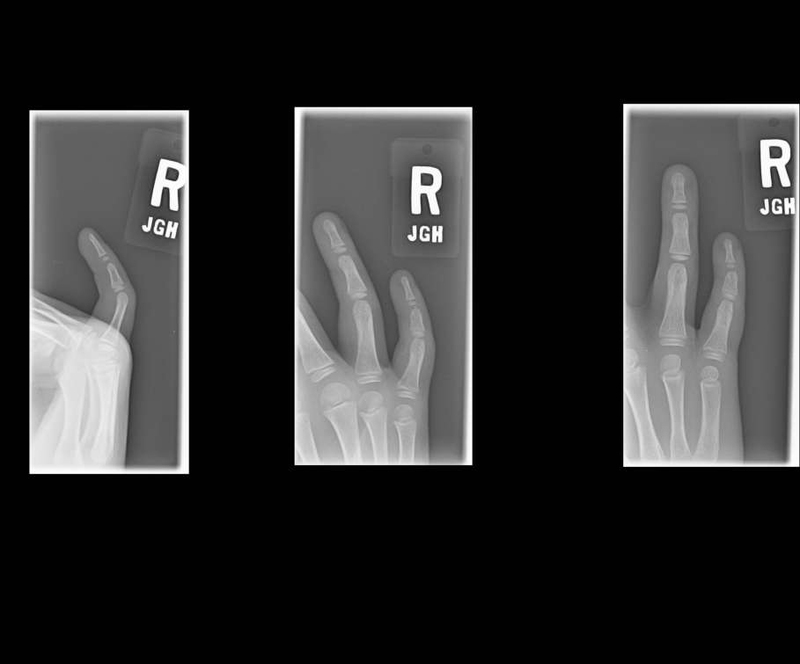 First, Ryder broke his finger at football practice. 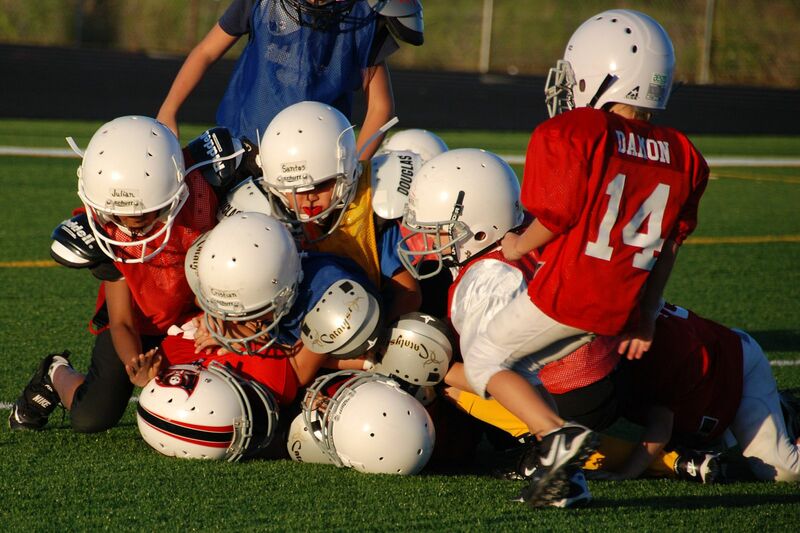 Now, I know you may be thinking, "that's what happens when 2nd graders play tackle football," but it happened when another kid tackled him when he wasn't looking - goofing off. Ryder doesn't usually cry much, and he didn't this time, but I knew when he didn't want to go right back in that something was up. He sat out with it on ice for a while and then tried to play during his very favorite tackling drill at the end of practice, but he couldn't do it. It just didn't seem to be improving, so I took him in to have it x-rayed that night. 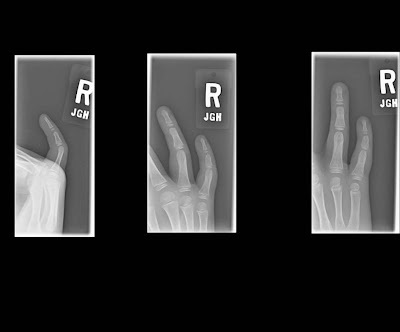 Sure enough his right pinky finger was broken. They put him in a splint and scheduled him with an orthopedist to have it evaluated further. Fortunately a splint and no football for 2 weeks was all he ended up needing. OK, now for the gross part. Seriously, if you can't handle gross, don't look at these next pictures. Melanie tells me she had a hang nail that she pulled off, but when she pulled it off she also pulled a big chunk of skin out from under her toenail. Well, it swelled up like this. We tried to treat it at home, but nothing worked, and she could hardly walk and certainly couldn't play volleyball. So I took her in, and they numbed her toe up and removed a portion of her toenail. and gave her some antibiotics. I took this picture while the doc was off looking for a silver nitrate stick to stop the bleeding. When he was done he wrapped her toe up in this enormous bandage. Do you think it's big enough? Melanie wanted to go back to school that day, just to show off her ouchie. I am so crossing my fingers that we are done with doctors for a very, very, very long time! Ready as I'll ever be - I am not easily grossed out, except when it comes to feet - YUK! Dear Grandma . . .